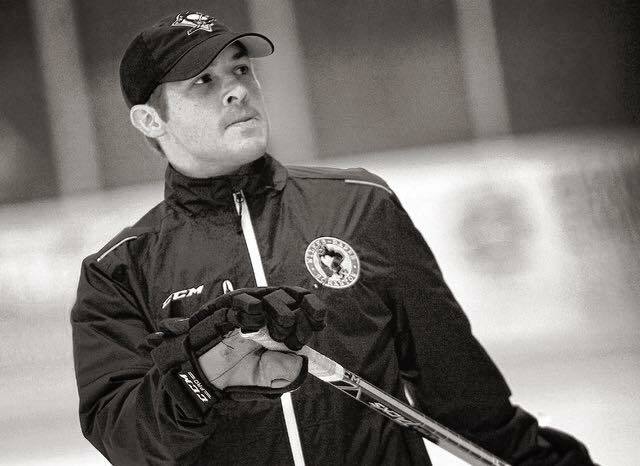 Tragic news struck the Penguins' organization late in the evening on Thursday April 6 that former Wilkes Barre- Scranton Penguins' Captian, Dave Gove, had passed away of an apparent drug overdose. 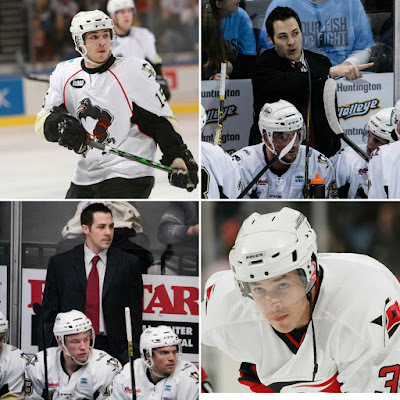 Gove, who played for the Penguins minor league affiliate from 2007-2009, was also elevated to the head coach position of the Wheeling Nailers (the Penguins ECHL affiliate) during the 2015-16 season after Clark Donatelli was promoted to head coach of WBS. The Pittsburgh Penguins released an official statement and expressed their sympathies on Friday April 7 after hearing Gove's death. Saddened to hear about the passing of my former coach, Dave Gove. He was one heck of a coach and an even better person. Rest easy, Gover. Shawn Rine, a sports writer for The Intelligencer and beat writer for the Nailers, spoke with some former team members that played under Gove when he took over as head coach. According to Rine, "...it is clear, the sadness is real." Rine went on to reflect about his personal experiences with Gove, and that he "was a really good guy that addiction had eaten away at." 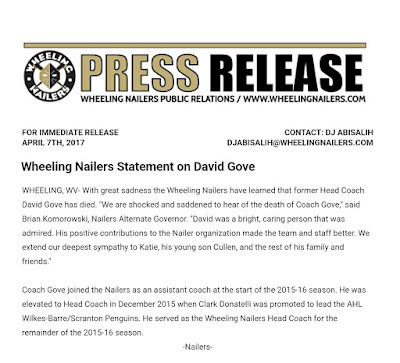 By all accounts, Gove was a man full of positivity, was liked by all who got to now him and a head coach full of promise within the world of hockey. The staff and writers of Pens Initiative send their condolences out to both hockey organizations as well as to Dave Gove's family and friends.